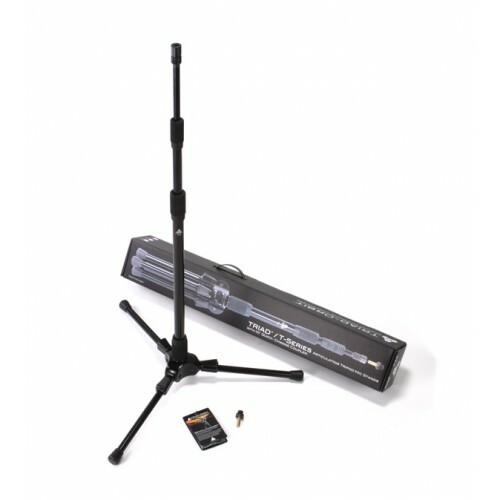 What is the Triad-Orbit modular stand system? Some innovations Seem to come from out of nowhere. The greater their break from long-observed convention, the greater our surprise. 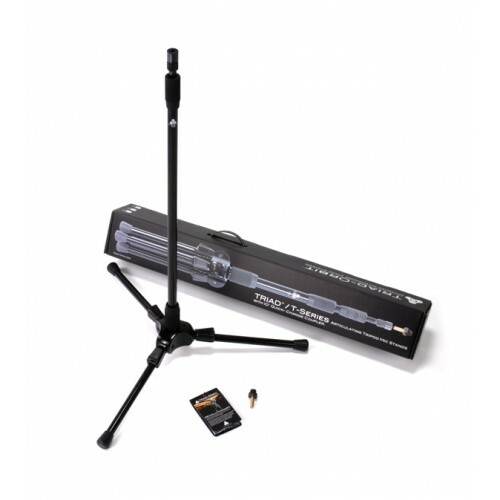 For past 60-70 years lighting stands have followed the same basic principle, a tripod based stand with multi section column and a screw thread or stud connector, to which you have to screw the light head on and off. 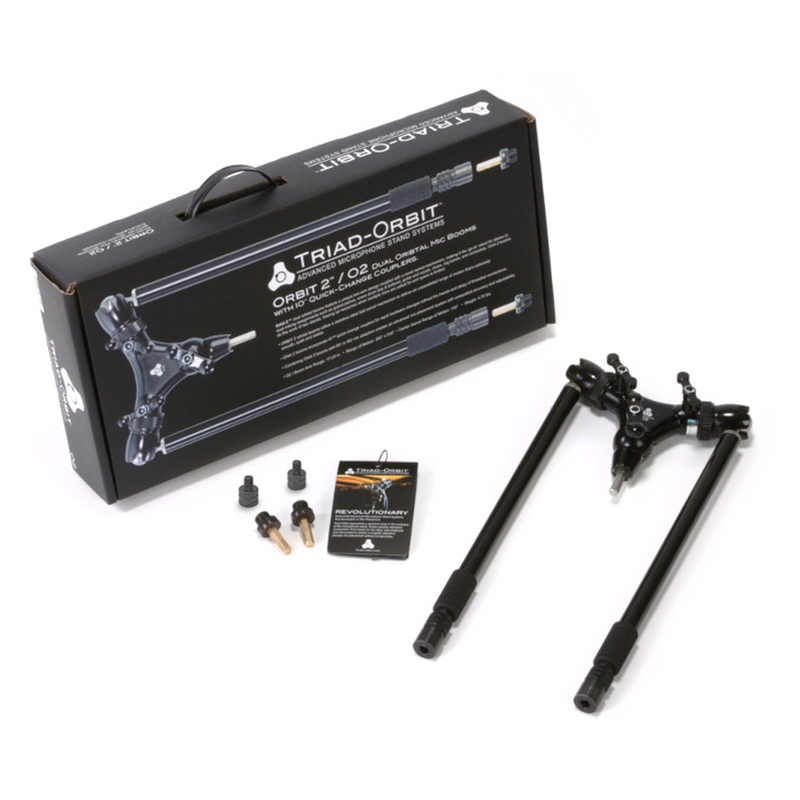 Triad-Orbit’s Unique, patented I-O quick-change accessory mount system, breaks with tradition allowing T-O stands, booms, clamps and accessories to be snapped together in seconds to facilitate super-fast changes of use, from supporting lights, to cameras, to monitors, to tablets, to microphones and much, much more! 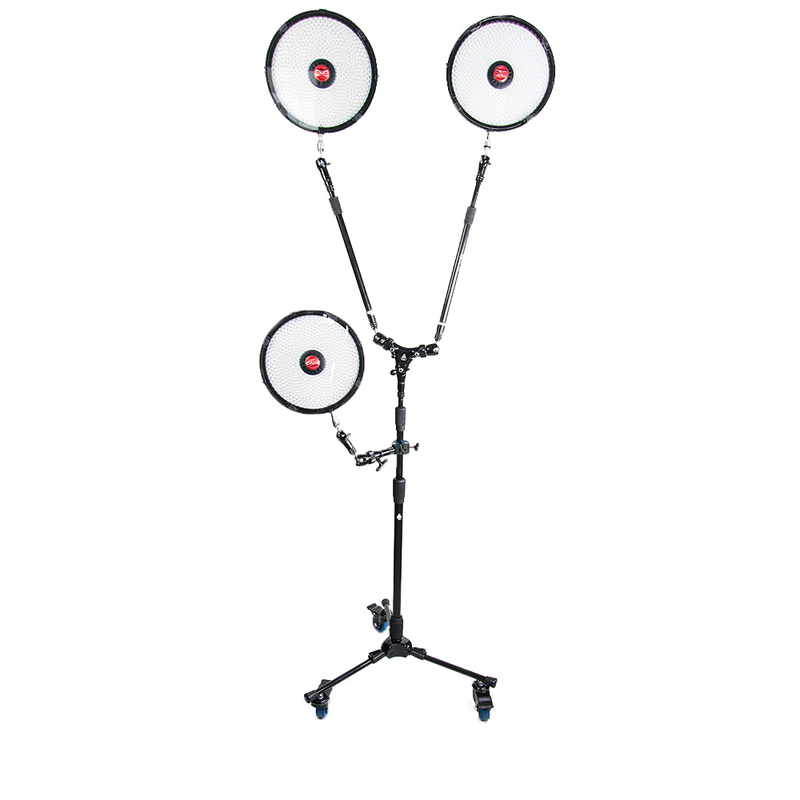 Almost every Camera tripod and head has a quick release plate, so why not have the same feature on your lighting stand! TRIAD Stands utilize professional-grade clutches in lieu of knobs and thumbscrews to adjust and secure shafts and bases. Each leg of a TRIAD base has four ratcheted positions that provide a pitch of up to 65 degrees to accommodate ‘boom-less’ front lines, A foot-actuated latch on each leg provides hands-free adjustability. 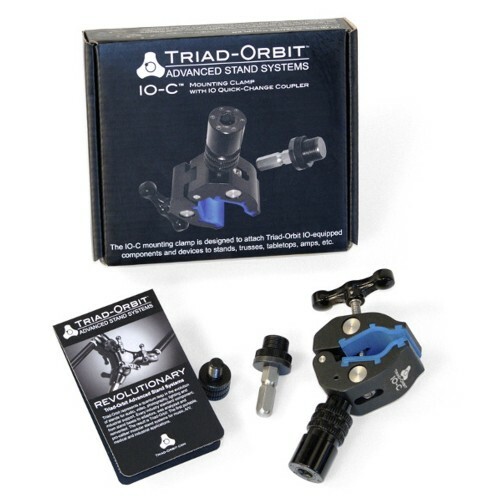 The IO Quick-Change Coupler is standard equipment on all TRIAD Stands.. ‘On-the-fly’ hardware swaps are now a reality, replacing the tedious task of threading Lights and Boom Arms on and off. Secure, beautifully balanced supports for lights, cameras and accessories of all sizes, both in the studio and on location. Quick and easily folding down to create a narrow footprint – perfect for transportation in the back of a car. Wide range of Booms, Clamps, and flexible ball heads available. 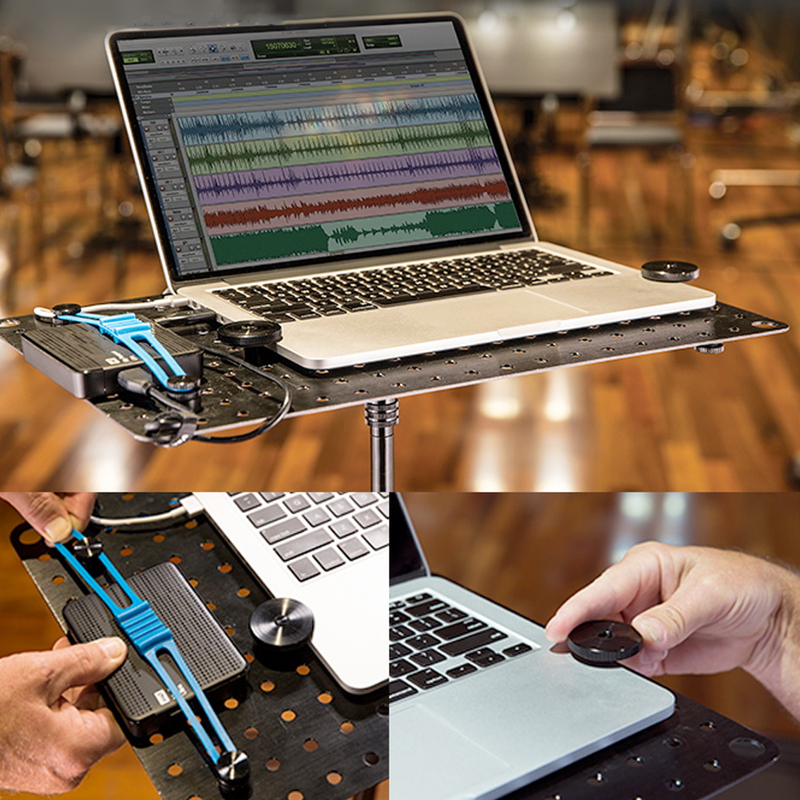 Unique, patented I-O quick-change accessory mount system, which allows T-O stands, booms, clamps and accessories to be snapped together in seconds to facilitate super-fast changes of use, from supporting lights, to cameras, to monitors, to tablets, to microphones and much, much more! 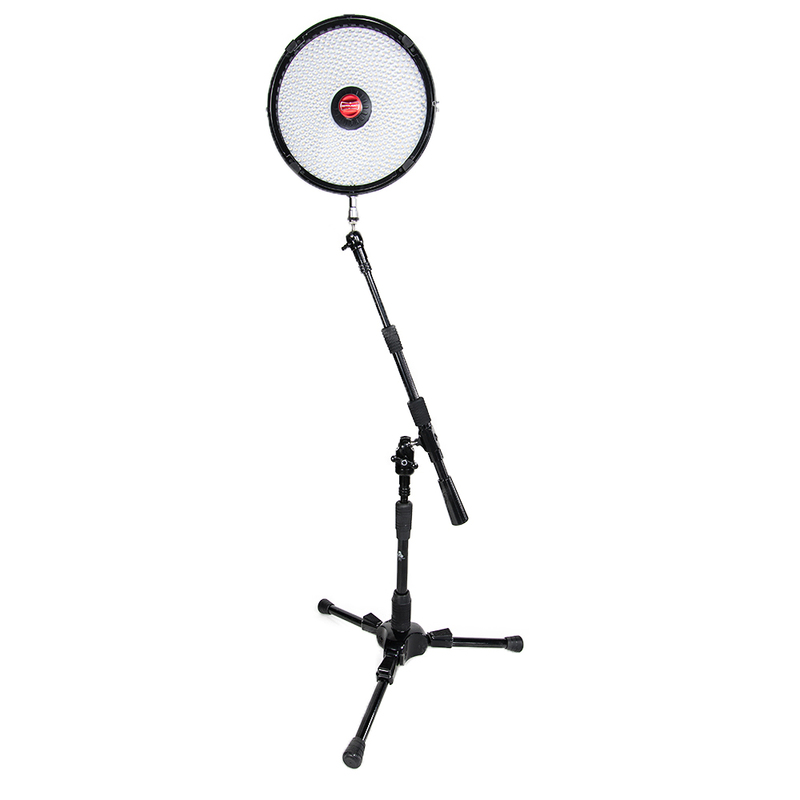 Triad Mini Tripod – Perfect for low level lighting and where ultra-low-profile and small-footprint stands are needed. 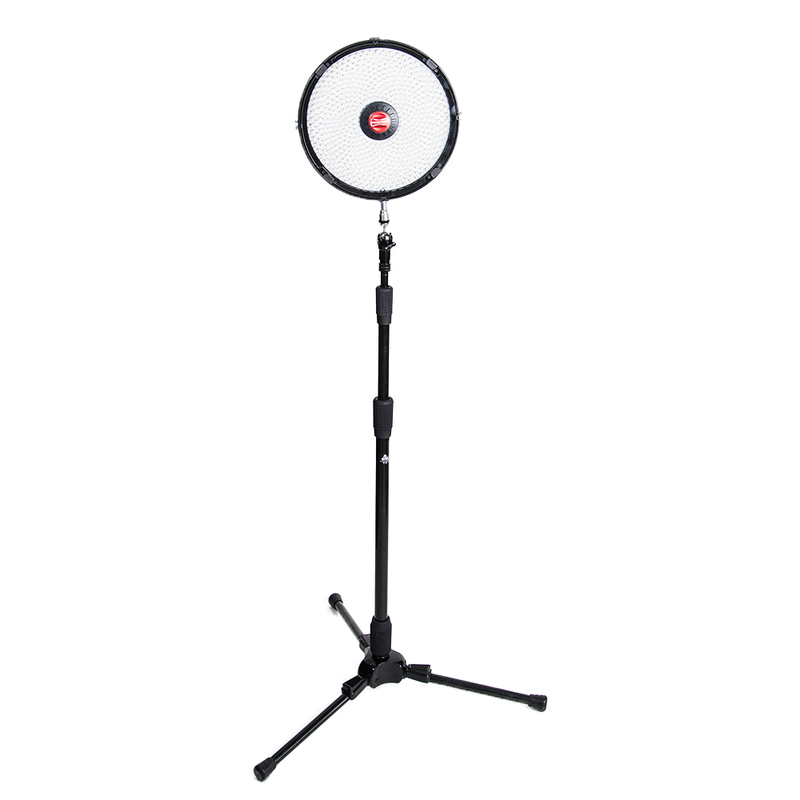 Standard Tripod – The new standard for professional lighting stands. A surprisingly stable rolling support platform for photography, Video lighting, computing, industrial and medical applications. 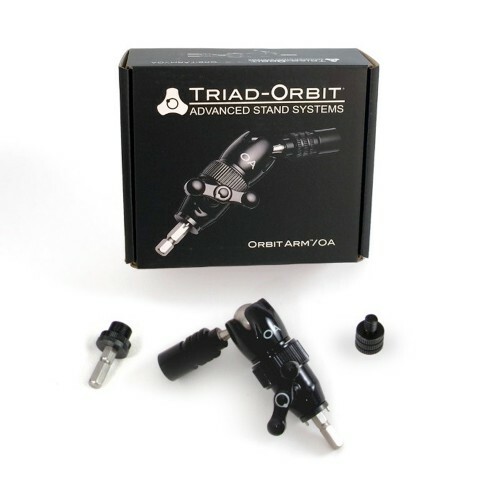 The Triad Orbit TM Stand kit 1 comprises the Triad-Orbit TM low-base lighting stand with M2 ball head and the LTADA light stud adaptor. 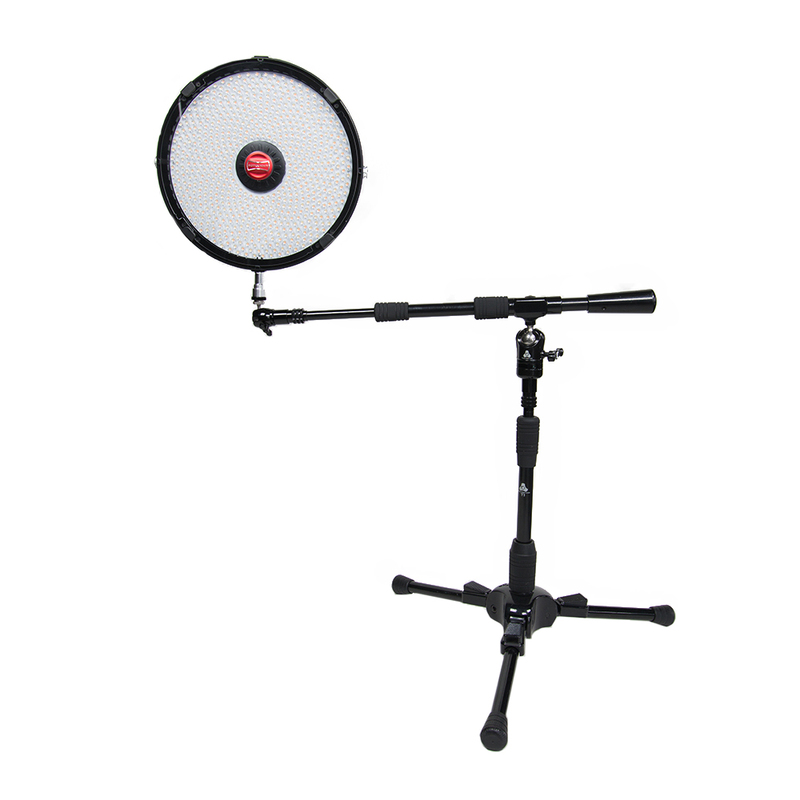 The TO T1 Stand kit comprises the T1 Short stand, Micro M2 and the LTADA light stud adaptor. 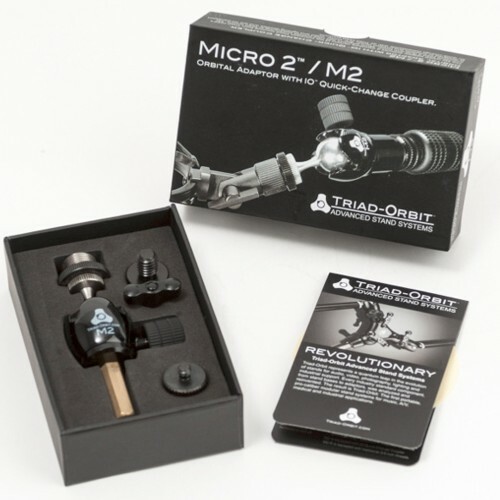 The ORBIT Mini – The little brother of Orbit 1 and the companion boom arm for the Triad Mini Stand. 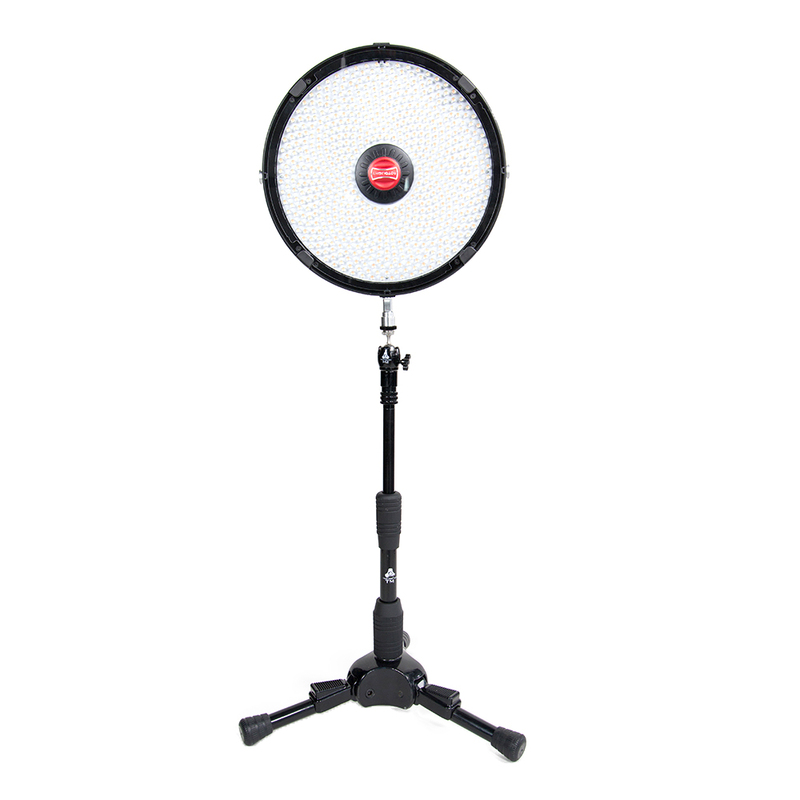 Perfect for tight spaces and for Back light applications. 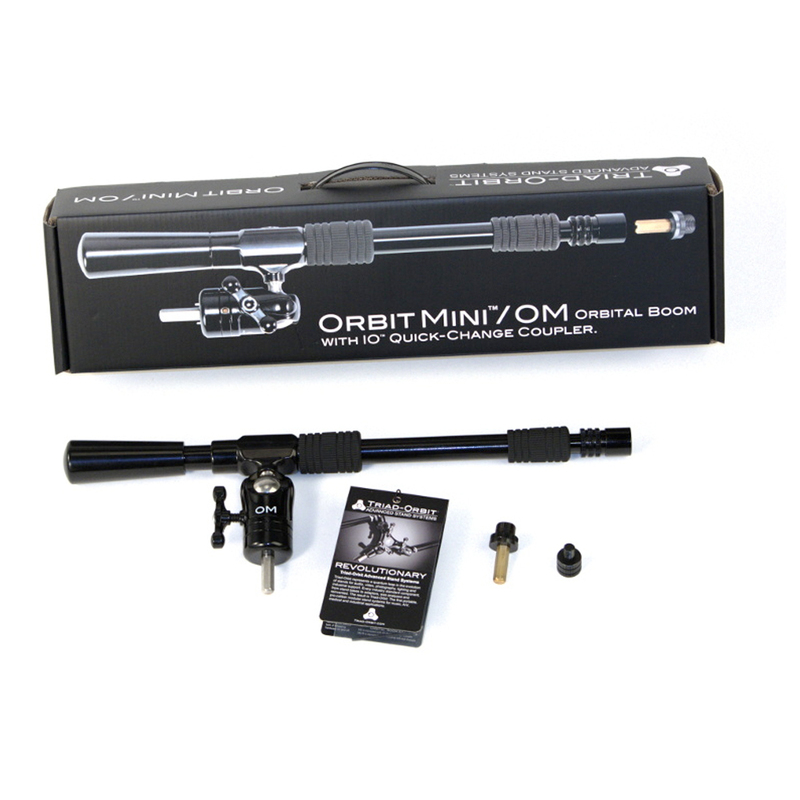 The ORBIT O1 Orbital Boom is a revolutionary Boom arm. 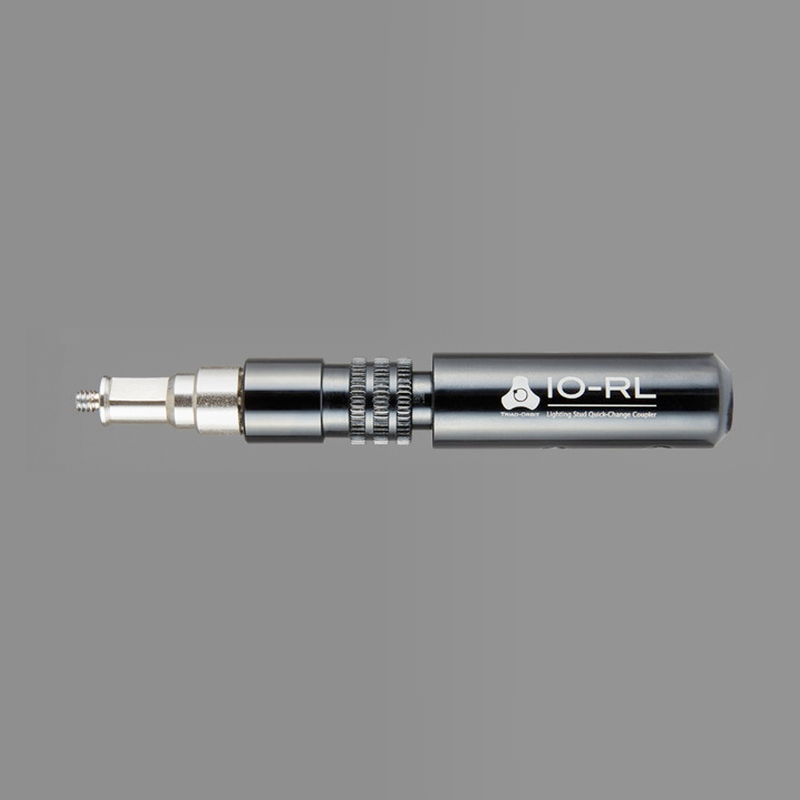 With its proprietary ball swivel and robust build quality, surgically precise lighting placement is now attainable in every scenario. 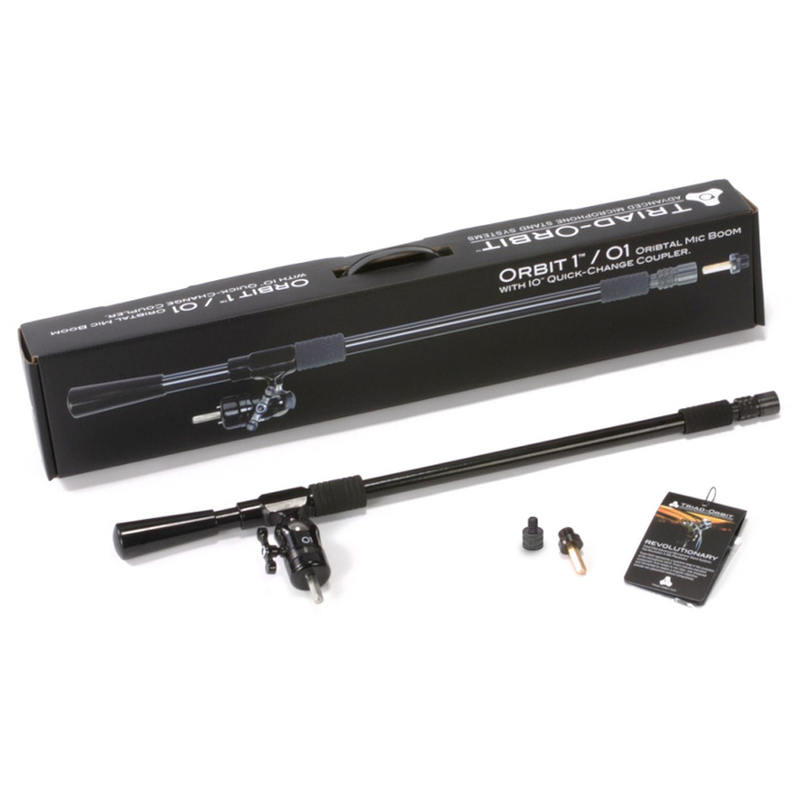 Anchoring ORBIT 2 is a novel centre swivel that provides an additional 145° of left-right motion to the boom arms. 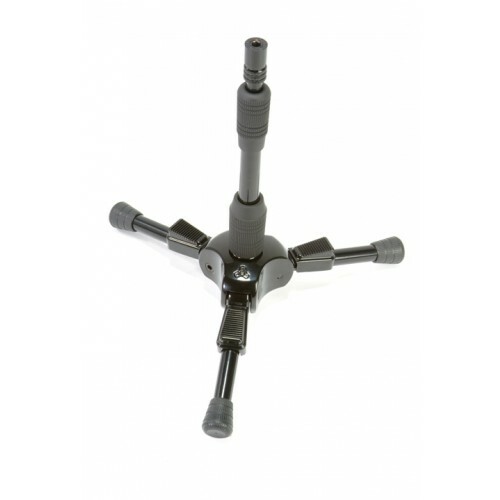 The COMPASS POINT™ ball swivel housing provides each O2 boom arm with precise, stable positioning whenever the arms are engaged. 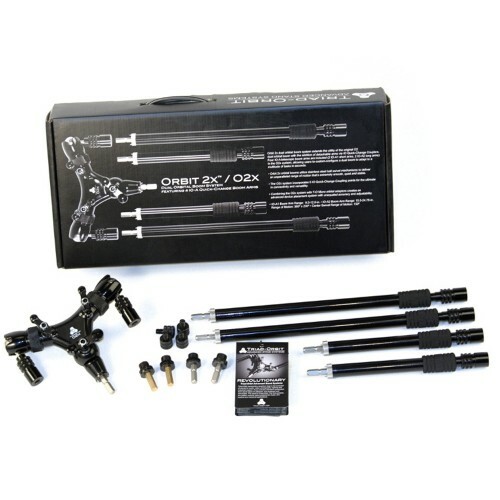 Orbit 2X dual orbital boom system extends the utility of the original O2 dual orbital boom with the addition of detachable arms via IO Quick Change Couplers. 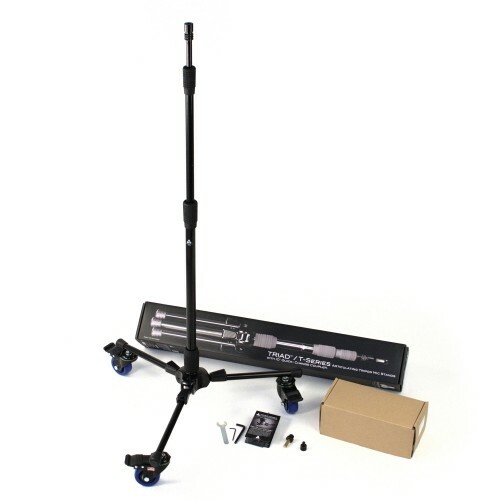 The Orbit OA is a single freestanding version of a single Orbit 2-type orbital boom arm. 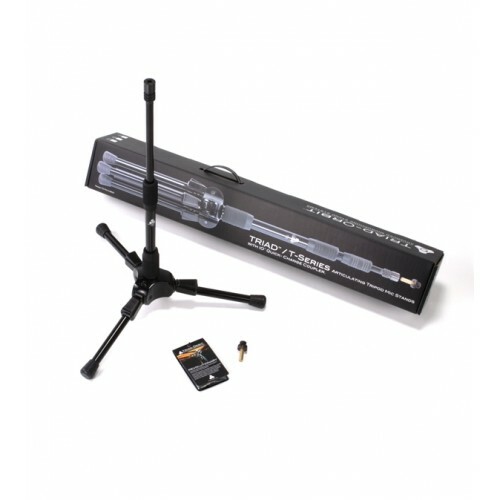 The MICRO M2 orbital mic adaptor features the exclusive Compass Point™ ball swivel housing that solidly secures mics in position for precise directionality. O‑Desk is a secure support platform for creative and industrial devices, including laptops, tablets, projectors, media players, hard drives and more.